October 2018 - Patent my French! The statute of limitations for nullity suits is probably one of the worst aspects of French patent law. But as a blogger, I have to confess that I am grateful for it. If it weren’t for this odd aspect of our statute, the supply of notable French judgments to comment on would be much sparser. Sometimes it is even all there is to talk about. Like in this recent decision E. Leclerc v. Bilz Werkzeugfabrik, where it is in fact the sole topic addressed by the court. In this case, two German companies, which I will call Innovat and Bilz (but which in truth have much longer names) filed a European patent application in 2000, on a device for clamping tools. 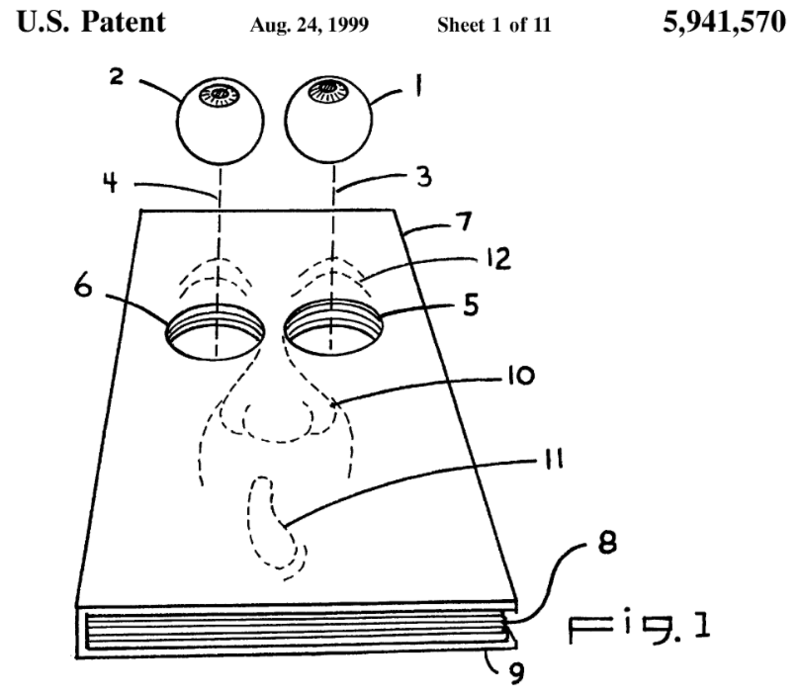 The patent was granted in January 2003. It was opposed, and the opposition was rejected by the EPO in February 2007. In June 2017, the French company E. Leclerc initiated nullity proceedings in connection with this patent. In case French readers are wondering, this company is said to be specialized in making, purchasing and selling cutting tools: it thus appears that it has nothing to do with the famous eponymous supermarkets. The patent proprietors raised a limitation defense, and this objection was addressed in a preliminary judgment after a first hearing. E. Leclerc’s first line of argumentation against this defense was that the statute of limitations does not apply to patent nullity claims. A long shot for sure, as many other litigants have made such contentions before, to no avail. But, interestingly, E. Leclerc came up with a number of reasons in support for this position, some of which I have not come across before. For instance, the nullity plaintiff contended that applying a limitation period to a nullity action would run contrary to Regulation (EU) No. 316/2014 relating to technology transfer agreements. This regulation defines a limited exemption for technology transfer agreements from the general prohibition of anti-competitive practice under article 101 of the Treaty on the Functioning of the European Union. Article 5 of the regulation specifies that the exemption does however not apply to “any direct or indirect obligation on a party not to challenge the validity of intellectual property rights which the other party holds in the Union, without prejudice to the possibility, in the case of an exclusive licence, of providing for termination of the technology transfer agreement in the event that the licensee challenges the validity of any of the licensed technology rights“. Quite creative, but beside the point for the court, which noted that the regulation only applies to agreements in which a licensor allows a licensee to exploit a technology, which is not the case here. E. Leclerc also relied on the UPC agreement, which, they said, excludes any statute of limitations for patent nullity actions. The argument was easily dismissed by the court since, as we all know, the agreement is not yet in force. They also relied on the executive order of May 9, 2018 (presented here) which is bound to eliminate the limitation period for patent nullity suits. But unfortunately, this order is not currently in force either. It is scheduled to enter into force together with the UPC agreement, precisely. E. Leclerc also stated that, since the claims of a patent are never stabilized as they can always be limited, the limitation period never starts running. This notion of “stabilization” of the claims derives from a couple of judgments in which it was held that, when the claims are modified in opposition or limitation proceedings, this postpones the start of the limitation period, because the claims are not stabilized before the date of modification. See previous discussions here and there. Some have thus taken this logic as far as suggesting that claims are in fact never stabilized because there is always the possibility that the patentee may amend them any time by way of limitation proceedings. Ergo, the limitation period may well exist but it can never start running, problem solved. Finally, even if the claims of a patent may change, this mere likelihood cannot prevent the implementation of a rule of limitations. At the end of the day, the court thus once again confirmed that the statute of limitations does apply to nullity actions. “Caramba, encore raté” as Hergé famously wrote in his classic Tintin comic books. Then the next step, as always, is to determine the starting point for the limitation period. Here, the Paris Tribunal de grande instance (TGI) once again stuck to its in concreto appraisal – although appeal judges seem to be on a different page, as already discussed several times on this blog. In particular, the court noted that the grant of a patent cannot trigger the time bar. Otherwise, an undue monitoring of published patents would be required from all stakeholders. Interestingly, the court also added that the rejection of the opposition against the patent by the EPO in February 2007 could not be taken as a starting point either, “for the same reason“. In one of the other cases already recalled above, it was decided that the starting point was the decision of a Board of appeal to maintain the patent in amended form, in opposition proceedings. So, as most of us suspected, this earlier decision cannot be extrapolated to some sort of automatic rule. For the court, the fact that E. Leclerc already marketed many types of spindles in 2010, or that they filed a patent application in 2011 for a cutter for composite materials, was not taken into account by the court either, as “it does not imply that they were aware at that time of all patents granted to competitors concerning devices for clamping and releasing tools“. The decisive fact in the case was rather a cease and desist letter sent by Innovat and Bilz’s attorney to E. Leclerc in May 2014. E. Leclerc was also targeted by an infringement suit in the Landgericht of Mannheim, but based on a different, national German patent, which led to a judgment in March 2016. The judges thus held that the starting point for the 5-year limitation period was this cease and desist letter of May 2014. E. Leclerc’s action was thus not time-barred. As a result, the lawsuit will now proceed on the merits. I have mixed feelings about this ruling. On the one hand, the outcome makes a lot of sense to me. If we have to live with this statute of limitations for patent nullity suits – which we do – then some formal correspondence between the parties regarding possible infringement of the patent at stake seems to be a very reasonable place to start from in order to apply the rule. On the other hand, I wonder how this ruling can be reconciled with other similar recent judgments. Take MEP v. Raccords & Plastiques Nicoll for instance, where the Cour d’appel reached the exact opposite conclusion, by taking the grant of the patent and not a cease and desist letter as the starting point. Is there a blatant contradiction here? Or was MEP v. Raccords & Plastiques Nicoll special because in this case the nullity plaintiff worked in a highly specialized area and had business relationships with the other party? Then take LuK v. Valeo Embrayages, a judgment by the same section of the Paris TGI as today’s decision. In this case, like in others, the court performed a thorough analysis of the business projets of the nullity plaintiff and determined when so-called “points of contact” between their technology and the patent at stake occurred. There is no such detailed analysis in today’s decision. As always, I don’t think we should read too much into a seemingly different approach from one judgment to the next. The way the parties do or do not argue in their submissions is certainly a major factor in the court’s reasoning. Now, my two cents, for what it is worth – and it is quite a subjective one. I have the impression that the courts (at least the first instance courts, from which we have a larger sample of judgments to digest) make a moderate and measured application of the statute of limitations; and that a relatively heavy burden is placed on the nullity defendant to convincingly show that, for some specific reasons, the plaintiff was or should have been aware of the patent more than 5 years before the complaint was filed. In other terms, it could be worse! CASE REFERENCE: Tribunal de grande instance de Paris, 3ème chambre 1ère section, SA E. Leclerc v. Bilz Werkzeugfabrik GmbH & Co. KG & Innovat Gesellschaft für Sondermaschinenbau, Mess-und Steuerungstechnik mbH, RG No. 17/09311. A tout seigneur tout honneur, today’s decision, being about SPCs, was first reported on the SPC blog. However, I would like to talk about it as well because, unlike British courts, it is not every day that the Paris Cour d’appel refers questions to the CJEU. The case relates to a European patent owned by Santen, a pharmaceutical company specialized in ophthalmology. Claim 1 of the patent is directed to a particular type of oil-in-water emulsion. According to a dependent claim, the emulsion may contain an active ingredient. According to another dependent claim, the active ingredient is cyclosporine A. Finally, another claim relates to the use of the emulsion for the preparation of an ophthalmic composition for the treatment of ocular diseases such as notably keratitis. Santen obtained a Marketing authorization (MA) for the drug Ikervis®, which is an emulsion containing cyclosporine as an active ingredient and is indicated for the treatment of severe keratitis. On June 3, 2015, Santen filed an SPC application at the French patent office (INPI) for “cyclosporine emulsion eye drops”. The SPC application was later amended to rename the product as “cyclosporine for its use in the treatment of keratitis”. On October 6, 2017, the SPC application was finally refused by the INPI. The reason for the refusal was the existence of a prior MA dating back to 1983, for the drug Sandimmum®. This drug is in the form of a drinkable solution, in which the active ingredient is also cyclosporine. The therapeutic indications range from the prevention of transplant rejection, to the treatment of endogenous uveitis (which is another ocular disease). In the SPC business, you gotta always keep an eye out for the next CJEU case law. Santen appealed the refusal in front of the Paris Cour d’appel. Instead of deciding on the merits of the case, the court referred some questions to the CJEU regarding the interpretation of article 3 (d) of regulation (EC) No 469/2009, nicknamed the “SPC regulation”. Article 3 (d) lays down one of the conditions for obtaining an SPC, namely that the MA referred to in the SPC application should be the first authorization “to place the product on the market as a medicinal product”. The most important ruling from the CJEU regarding the interpretation of this article is Neurim (C-130/11) of July 11, 2012. According to this ruling, the existence of an earlier MA obtained for a veterinary medicinal product does not preclude the grant of an SPC for a different application of the same product for which the MA has been granted, provided that the application is within the limits of the protection conferred by the basic patent relied upon for the purposes of the application for the SPC. In Neurim, an SPC application for a formulation of melatonin useful for the treatment of insomnia had been initially refused due to the existence of an earlier MA for melatonin in a veterinary product (more precisely for the regulation of seasonal breeding activity in sheep). The Court of justice clarified that, in such a situation, the SPC application should not have been refused for this reason. However, with the Luxembourg Court, most clarifications usually raise additional questions. Case in point, Neurim was widely interpreted as a reversal of earlier case law (in particular Pharmacia Italia C-31/03 and Yissum C-205/05) but the Court of justice did not say a word about this in the judgment. More importantly, people wondered how far the principle set out in Neurim should extend. That is, how should the expression of the Court “a different application of the same product for which [an MA] has been granted” be interpreted? Does the expression refer to veterinary vs. human use only, like in the facts underlying the Neurim judgment? Or does it extend to the treatment of different human diseases? Or to different formulations or modes of administration? In the Santen case, the INPI noted that there are various interpretations of Neurim across Europe. The French administration’s current position is that Neurim should be applied in a “measured” manner. First, the scope of the basic patent should correspond to that of the MA which is relied upon, like in the Neurim case (cf. the proviso that “the application is within the limits of the protection conferred by the basic patent” in the order of Neurim). This is not the case here, said the INPI, because the basic patent mainly relates to a particular emulsion. 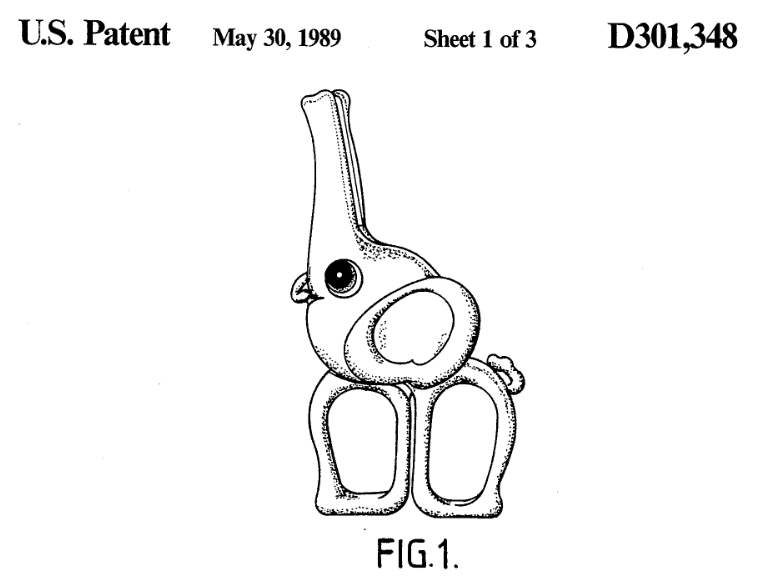 Keratitis is only one of the diseases that can be treated according to the patent. Uveitis (i.e. one of the diseases treated by the former drug Sandimmum®) is also mentioned in the dependent Swiss-type claim of the patent. Second, the MA which is relied upon should relate to “a new therapeutic field”, i.e. a new medical specialty, or a drug, the active ingredient of which should have a different mode of action from that exerted in the drug of the previous MA. Again, this is not the case here, the INPI argued, since both MAs relate to the treatment of inflammations of the human eye, by the same mode of action of the same substance (cyclosporine). Thus, a new medical use is not sufficiently demonstrated. The INPI’s position seems to be that a “new medical use” in this context has to be appraised in a stricter manner than in the context of a patentability appraisal. Santen challenged this position, and stated that the conditions demanded by the INPI cannot be derived from the Neurim judgment. Santen insisted on the fact that Sandimmum® and Ikervis® have different therapeutic indications, and treat different diseases in different parts of the eye. Their respective formulations, dosages and modes of administration also differ. The court considered both positions and came to the conclusion that “when reading the Neurim judgment it is not possible to interpret this notion of different application, which is essential for deciding the case, with any certainty”. – or on the contrary be understood in an extensive manner, i.e. as including not only different therapeutic indications and diseases, but also different formulations, dosages and/or modes of administration. 2. Does the notion of application within the limits of the protection conferred by the basic patent under the CJEU Neurim judgment C-130/11 of July 19, 2012 imply that the scope of the basic patent should correspond to that of the MA relied upon, and consequently be limited to the new medical use corresponding to the therapeutic indication of said MA? In other words, some very precise and extensive questioning of the scope of article 3 (d) of the SPC Regulation. That said, the likelihood that the Court of justice will clearly answer by yes or no as to whether Neurim applies to different diseases, different formulations, etc. is probably close to zero. It is much more likely that the Luxembourg judges will offer a new general test which will still leave room for interpretation. This is indeed the game that has been played quite extensively in the past few years. The other thing is that there is also another referral pending on the interpretation of Neurim, namely the Abraxis case (C-443/17). Is Article 3(d) of the SPC Regulation to be interpreted as permitting the grant of an SPC where the MA referred to in Article 3(b) is the first authorization within the scope of the basic patent to place the product on the market as a medicinal product and where the product is a new formulation of an old active ingredient? In Abraxis, an SPC application was filed based on an MA for paclitaxel bound to albumin nanoparticles, but the issue was the existence of an earlier MA for solvent-based paclitaxel. The Advocate General’s opinion in Abraxis is expected to be released on October 25, 2018. Will the Santen referral remain useful or relevant once Abraxis is decided? As always with the SPC saga, to be continued. CASE REFERENCE: Cour d’appel de Paris, pôle 5 chambre 1, October 9, 2018, SAS Santen v. Directeur Général de l’INPI, RG No. 17/19934. Out of sheer laziness, I am usually reluctant to report on bills that are still in the legislative process. After all, you never know whether your report will still be consistent with what comes out of the process in the end. You may call that the UPC syndrome. But the reform of the French patent granting procedure currently in gestation represents such an upheaval of the world as we French patent attorneys know it that it is getting more and more difficult to ignore it on this blog. So, today, I will update readers on the “Projet de loi relatif à la croissance et la transformation des entreprises“, also known as the PACTE bill. Don’t ask me what the A in the acronym stands for. It is probably just easier to pronounce than “PLRCTE“, that’s all. This is a very complex and long (some would say catch-all) bill that spans labor law, tax law, commercial law, etc. And there are a few provisions on patent law, which are rather far-reaching. The bill, updated as of today, can be found here. All provisions have now been approved by the Assemblée nationale (the lower chamber of our parliament), which prompted today’s post. Please bear in mind that these provisions can still be modified during the rest of the legislative process though, but by now it is more likely than not that they will indeed become law. a patent application can be converted into a utility certificate application but not the other way around. In order to make the utility certificate a more attractive option for innovators, the maximum duration of the certificate will be brought to 10 years instead of 6. Its duration will thus be on a par with that of utility models in foreign countries, notably Germany. A second change is that it will now be possible to convert a utility certificate application into a patent application. The conditions for this conversion will be further specified by way of an executive order. If we assume that flexibility is always appreciated by applicants, these changes will indeed make the utility certificate more palatable to them. While we are at looking at what the Germans do, we might as well have imported the “Abzweigung“, i.e. 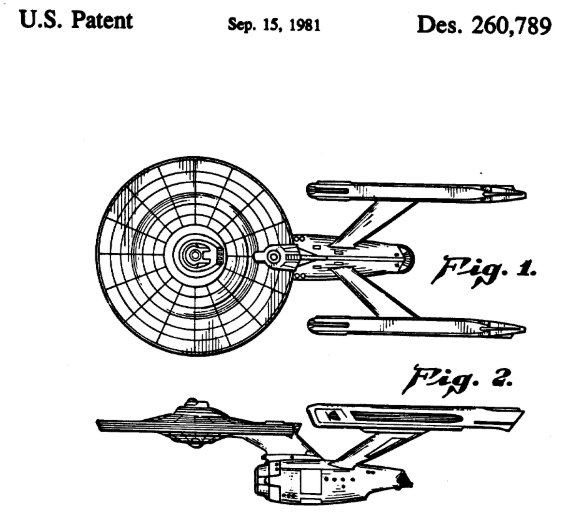 the possibility to file a utility model application as a split-off from a patent (including European) application. This can be quite a powerful tool for applicants. Maybe next time – together with a (much awaited) re-opening of the French national phase PCT route? The second topic addressed in the bill is a much bigger prize, though. Article 42 authorizes the government to create national opposition proceedings, so as to allow third parties to request the revocation or modification of a French patent, by way of an “ordonnance”. An “ordonnance” is a special kind of executive order which has the same effect as a law passed by the parliament, provided that it is later ratified by the parliament. There are absolutely no details as to this future opposition in the bill, as the parliament has precisely surrendered its prerogative to set rules on this matter to the government, by way of this article 42. So we will have to wait until we see the “ordonnance”. Should the opposition period be set to 6, 9, or 12 months? What should the grounds for opposition be? Should it be possible to file an opposition against a granted utility certificate? Should the decision on the opposition be open to appeal in front of the Paris Tribunal de grande instance (first instance court) or in front of the Paris Cour d’appel (appeal court)? What should the effect of an opposition be on parallel litigation, in particular concerning a possible stay of proceedings? Should oral proceedings be summoned? Should an accused infringer be able to intervene in opposition proceedings? Should the examiner who granted the patent be part of the panel of three examiners who will decide on the opposition? As you can see, things were (still are?) very open. Rumor has it that the INPI is contemplating a rather extensive alignment of the future French opposition proceedings on the EPO model. As a side note, article 42 of the bill specifies that the future “ordonnance” should make sure to prevent abusive oppositions. I have no idea what they mean by this, but I do hope that there will be no standing required to oppose a patent. This would certainly lead to useless complexity and legal uncertainty. Now, the third topic of interest in the bill is as big as the second one – if not bigger. At present, the INPI has limited power to refuse a patent application. Basically, a French examiner can raise objections (such as lack of clarity or unity) before the issuance of the search report. Then the search report and a complete written opinion are drafted, either by the EPO or directly by the French examiner. Then the applicant files observations as a response – which can very well be very brief. And a refusal can only take place in exceptional circumstances, e.g. if it is “blatant” that the application relates to subject-matter which is not an invention (such as discoveries, aesthetic creations, etc. ); or if there is a “blatant” lack of novelty. There are further (more minor) grounds for refusal, such as lack of unity. But the major fact is that lack of inventive step is not a ground for refusal – although of course it is a ground for nullity of the issued patent in front of a court. And lack of novelty or lack of patentability are grounds for refusal only insofar as the objection is crystal clear and there is no possible defense. Well, it seems like this fundamental peculiarity of French patent law is about to become a thing of the past. Article 42bis of the bill will make it possible for the INPI to refuse an application for lack of novelty or non-patentability, period (i.e. the objection will no longer need to be blatant); and also for lack of inventive step. A huge change indeed. Hailed by some, as it is believed to increase the value of French patents. Lambasted by others, as applicants (especially local ones) may be less incentivized to file national applications if the local granting procedure becomes similar to the European one. To me, the success or failure of the above reforms will mostly depend on their implementation by the INPI. Tremendous efforts will have to be undertaken to hire and properly train new examiners to perform these tasks. Let’s hope that this aspect has not been underestimated by the government and that sufficient funding will be available to support these efforts. One good point is that the new, beefed up, granting procedure will only come into force two years from the entry into force of the PACTE law. This transition period will certainly be necessary in order for everyone to get ready for this new enterprise, in other words “to explore strange new worlds, […] to boldly go where no man has gone before“. And by the way, who said the unitary patent and the UPC would be the kiss of death for national patent rights? PS: for those eager to know everything about the debates that took place in the Assemblée in connection with the above provisions, here is the link to the full transcript. Don’t hold your breath though, it is fairly high level and there was no discussion on the nuts and bolts of the new system. What are the top three traits of the French system that foreign companies like best? Good transportation infrastructure? Maybe. L’art de vivre? Very probably. But first and foremost: the saisie-contrefaçon. 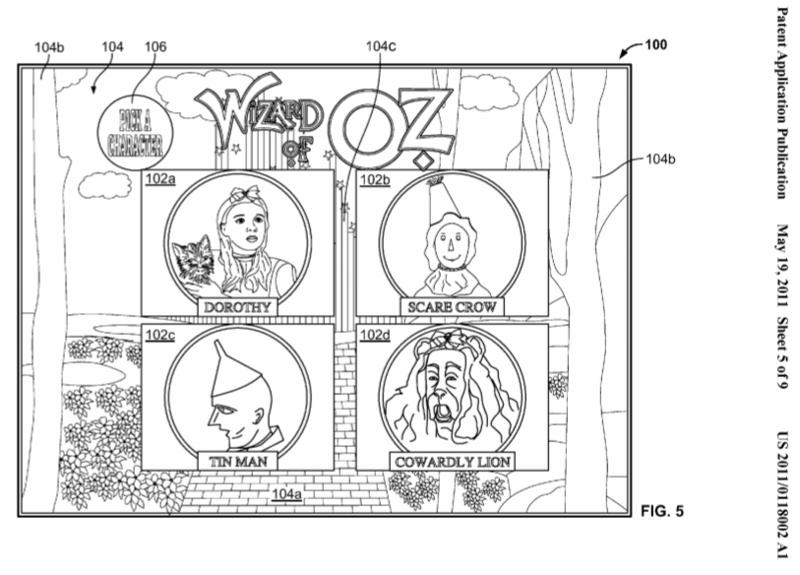 OK, there may be some patent attorney bias here. As readers of this blog are surely aware, the saisie-contrefaçon (infringement seizure) is a special tool in the hands of patent right holders, in the form of an ex parte order for an unannounced inspection at a third party’s premises in order to gather evidence of possible infringement. Traditionally, the order for seizure has been viewed as straightforward to obtain. Basically, you show up in front of a judge; you show your patent, the status of the renewal fees, an excerpt from the patent register; then you explain what kind of evidence you want to get and where. And you’re pretty much good to go. But from time to time, a court decision takes a different approach and makes this traditional view entirely derail. Such is the judgment recently issued by the Paris Cour d’appel in Arconic v. Constellium Issoire. Arconic owns European patent No. EP 1392878 on a process to produce sheets of aluminum. On October 4, 2017, Arconic requested and obtained an order for performing a seizure in the premises of Constellium Issoire, which belongs to the Constellium group. Arconic and Constellium are direct competitors as they both manufacture aluminum plate products, notably for Airbus’ A380 aircraft. The seizure took place on October 10, 2017. On October 26, Constellium filed a motion to obtain the cancellation of the order for seizure. The judge in charge of urgency proceedings granted Constellium’s motion and issued an order on December 22, 2017 canceling the order for seizure. Arconic appealed, but its appeal has now been dismissed by the Paris Cour d’appel. So what was the problem with the initial order for seizure, and why did it deserve to be canceled, according to the appeal judges? The focus of the discussion was Arconic’s statement in its initial request that they had reasons to suspect that Constellium infringed the patent at stake. Arconic provided evidence for this suspicion, and the court performed a thorough review of said evidence. The evidence comprised in particular a scientific article from three Constellium employees, a specification from Airbus, a standard and a publication on aluminum alloys, and an excerpt from Constellium’s website. Arconic’s aluminum alloy is designated as 6013 while Constellium’s is designated as 6156. Both alloys, based on Airbus’ specification, are made by lamination and a so-called T4 thermal treatment. But the court then stated that this was insufficient to infer that most features of claim 1 of the patent at stake were implemented by Constellium. In particular, the fact that the 6156 alloy is made by lamination and thermal treatment is perfectly conventional. Claim 1 of EP’878, on the other hand, requires a precise sequence of process steps, including the application of a certain temperature, a defined reduction of thickness of the alloy, etc. Thus, the court said, Arconic in fact did not know which process is used by Constellium. Admittedly, the composition of the alloy itself, which is also recited in the form of elemental weight ranges in claim 1 of the patent, does cover the 6156 alloy. But the claimed ranges are sufficiently general to also cover further competitors’ products of the same category (the 6061 and 6082 alloys). Besides, it is clear when reading the patent that the invention is about a manufacturing process, not about a new alloy, added the court. The tin man – which alloy is he made of? Another reason for Arconic’s infringement suspicion was that, according to them, the mechanical properties of the plates made by Constellium could only be obtained with the patented manufacturing process. The court accepted that Constellium’s 6156 plates seem to have very similar properties to Arconic’s 6013 plates, since both products are used by Airbus for the A380 aircraft. But, the court continued, this does not imply that Constellium’s plates are necessarily made with the patented process, since different processes can of course lead to the same product. As a further remark, the court noted that Constellium itself owns a later patent (EP 1809779) for a process of making 6056 or 6156 aluminum alloy products, and asserts that their industrial process is based on this patent. Thus, the reasons set out in support of the request [for seizure] turn out to be wrong. More particularly, it cannot be derived therefrom any “suspicion” of infringement, nor “good reasons to assume” that the alloy plates supplied by Constellium would infringe Arconic’s patent. only depends on the demonstration that the right at stake exists, without any further requirement of evidence concerning infringement itself. As I said in the beginning, at the risk of oversimplifying, this is indeed probably the general opinion among the French patent profession. Member States shall ensure that, even before the commencement of proceedings on the merits of the case, the competent judicial authorities may, on application by a party who has presented reasonably available evidence to support his claims that his intellectual property right has been infringed or is about to be infringed, order prompt and effective provisional measures to preserve relevant evidence in respect of the alleged infringement, subject to the protection of confidential information. The directive thus refers to the presentation of “reasonably available evidence” as a prerequisite for obtaining e.g. an order for seizure. But, Arconic remarked, this notion was not transposed in the relevant provision of the Code de la propriété intellectuelle, namely article L. 615-5. Since article 2 of the directive makes it possible for Member States to provide means which are more favorable to right holders, this must be interpreted to the effect that French law does specifically not require “reasonably available evidence” as a precondition for an order for seizure. The court did not frontally disagree, but replied as follows. […] The property right conferred by a patent is neither absolute nor discretionary, and is still subject, in the case of a request for seizure, to the appraisal of its merits by the judge […], notably when, as is the case here, the reasons set forth in its support turn out to be wrong. Besides, article 3 of the [enforcement directive] requires that proceedings which are necessary to ensure that IP rights are respected must be fair and proportionate. In the present case, as there is no tangible suspicion of infringement, the court can only remark that the requested seizure measure would, as a main consequence, allow Arconic to know about Constellium’s aluminum alloy product manufacturing process. As these two companies are direct competitors regarding this products in front of companies in the aeronautic business, such as Airbus, Constellium can rightly fear that manufacturing secrets could detrimentally be disclosed, or even that its credibility with common customers could be harmed. Lastly, the court is surprised that it is only on October 4, 2017 that Arconic decided to initiate infringement seizure proceedings, although this direct competition with respect to Airbus dates back to 2004. Matthieu Dhenne, whose firm represented the patent proprietor in this case, wrote to me that there are a number of reasons why he believes the decision was wrongly decided. First, he says the proportionality principle does not apply to an infringement seizure which remains an exceptional measure and is disproportionate by nature. He states that the travaux préparatoires concerning the transposition of the directive show that the proportionality principle was voluntarily not introduced into our statute. As a result, the court’s line of reasoning compromises legal certainty and jeopardizes the entire balance of the system. He also insists that a seizure is intended for gathering evidence, not appraising infringement. Matthieu adds that the court’s suspicion of the patentee was unwarranted and that it cannot be possibly demanded from the patentee that they should search for patents owned by the defendant. Whether any other, especially later, patent is indeed implemented or not by the defendant is irrelevant to the possible infringement of the main patent at stake, he argues. I agree that there are a number of statements in the two above paragraphs quoted from the judgment which are controversial. It is true that a seizure can result in business secrets being disclosed to a competitor. But the usual way to prevent this is for the seized party to request that the seized information and documents be sealed, and that an expert be appointed by the court to sort out the evidence, so that only information directly relevant to the demonstration of infringement be communicated to the right holder. As for the fear that the defendant’s reputation be harmed, it seems irrelevant here, as the seizure was performed in Constellium’s premises, not at a third party’s. The fact that Arconic waited a lot before initiating legal proceedings should probably not come into play either. Indeed, a patentee’s right to sue for infringement is never time-barred. That said, I am not sure I am fully comfortable with the notion that a patentee’s right to a seizure should be automatic. It does make sense for the court to carefully look at the specifics of each case before deciding whether this right can be exerted in the circumstances at hand or not. In this particular case, it seems to me that what the court really did not like was that the “suspicions” of infringement mentioned in the original request for seizure, were not actual or legitimate suspicions, based on the evidence offered. Would the outcome have been favorable if the plaintiff had played it differently, for example by (1) not mentioning suspicions of infringement but explaining that a seizure is the only possible way for them to determine whether there is any infringement; and (2) immediately offering that the seized evidence be sealed by default so as to be later remitted to a court-appointed expert? I guess we will never know and can only have suspicions in this respect. CASE REFERENCE: Cour d’appel de Paris, pôle 5 chambre 1, September 11, 2018, Arconic Inc. v. SAS Constellium Issoire, RG 18/01099.